Jerry Geiszler, colleagues appear in recent 'Bitchin' Rides' episode for Velocity TV. About a year ago, longtime Gresham resident and Corvette Image owner Jerry Geiszler received an opportunity he couldn't pass up. 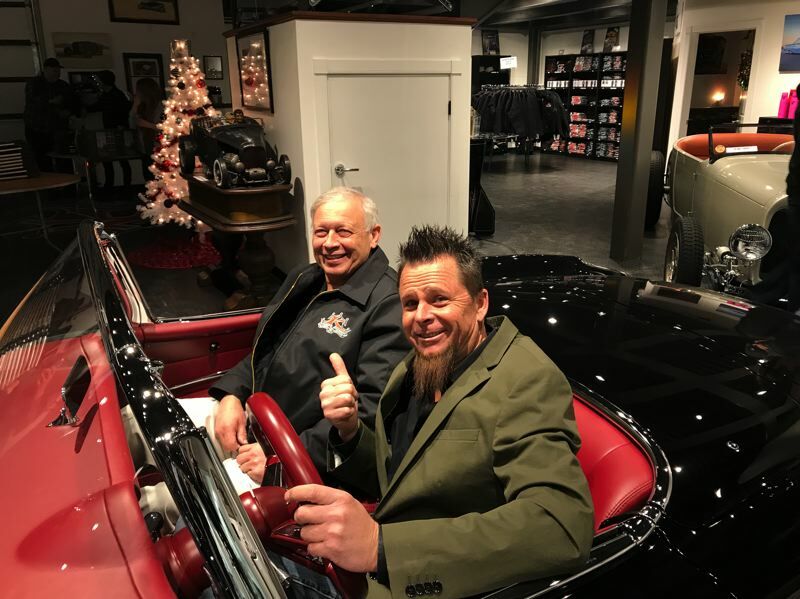 Dave Kindig, whose team is featured on the Velocity TV series "Bitchin' Rides," reached out to Geiszler about donating parts to help refurbish his father-in-law's 1957 Corvette. 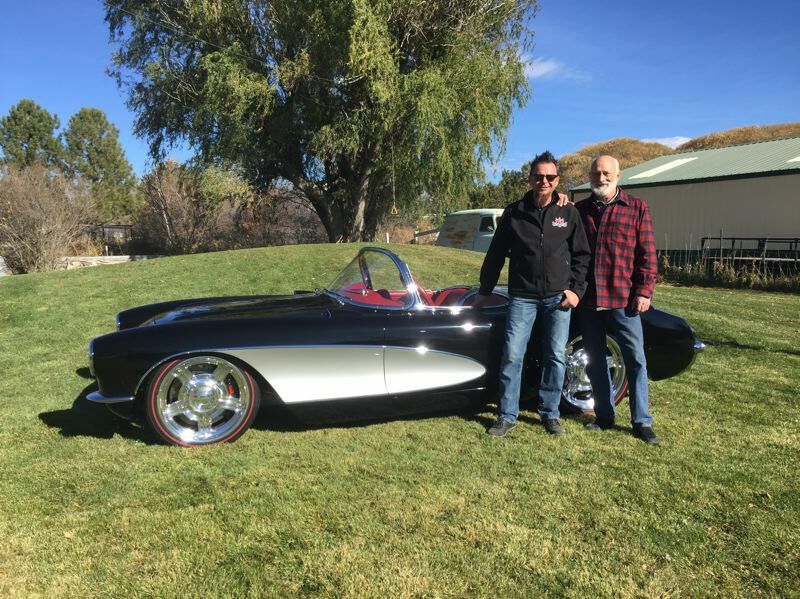 Geiszler provided the parts and made two trips to Salt Lake City, Utah, in April and June 2017 to work on the Corvette with the Kindig-It Design team. Geiszler, along with colleagues Jonah Mezgar and Don Peterson, are featured in a recent episode of "Bitchin' Rides" called "A Family Affair." The episode aired Dec. 5 and 26 on the Velocity Channel and is now available on Amazon Video. "The entire experience was enjoyable because they are so nice," Geiszler said of Kindig, his family and crew. "We came there to do our job and get it done for them. Doing this for the family story that was involved was an honor." Geiszler, Mezgar and Peterson enter the show at the 14-minute, 40-second mark. "We're changing the entire front end, we're changing the rear fender, we're changing the rear lower panel," Geiszler says in the episode. "It's time to tear this thing apart!" Kindig refers to Geiszler and his team as the pros and notes how their replacement parts are a perfect fit. The Oregon team spent 12 days working on the Corvette in total. "The GM stylists in those years just did beautiful designs," Geiszler says. "It's a very timeless design. Everybody loves a '57 Corvette." He notes that the Corvette's black and silver colors are considered the most special color combination for that year. Geiszler first started working on Corvettes at age 15. For 39 years, he owned Jerry's Custom Paint, which was sold to Precision Body and Paint. 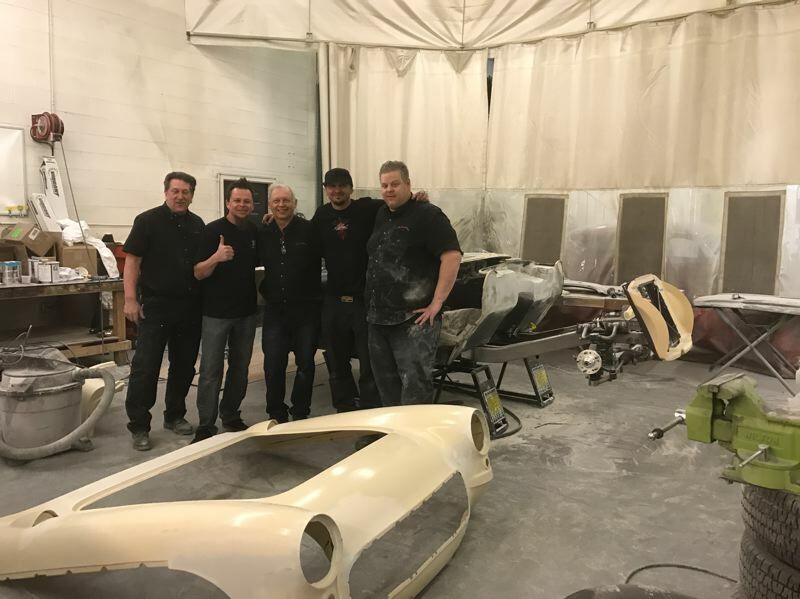 His most recent focus has been serving as a consultant to Precision and running his Corvette fiberglass replacement parts company. Geiszler has a growing team at Corvette Image that builds fine Corvette parts shipped throughout the world. Within 14 hours of the episode airing, Geiszler heard from new and existing customers who were excited to see him on the show and wanted to buy parts. He says the show is popular among his customers because Kindig's team builds beautiful cars and explains how they do it. At the end of the episode, Kindig and his family reveal the Corvette to his father-in-law, Richard Cox. "That's a bitchin' ride if I've ever seen one," Cox says choking back tears. "That's the prettiest '57 I've ever seen." Geiszler says the Corvette will mostly be stored in a showroom, but featured in car shows such as the Portland Roadster Show March 16-18 at the Expo Center. "The car is going to stay in the (Cox and Kindig) family forever," he says with a smile. A love of classic cars has been passed down in Geiszler's family, much like Kindig's family. More than 50 years after he worked on his first Corvette, Geiszler is delighted to see his son Brian carry on the family tradition as a Corvette designer at the Chevrolet GM Design Center in Warren, Mich. The Bitchin' Rides "A Family Affair" episode aired Dec. 5 and 26 on the Velocity Channel. The episode will air again on Velocity and can also be accessed on Amazon Video.